Snippets of Jack: "The Captain Seems to be Acting a Bit Strange...er?" "The Captain Seems to be Acting a Bit Strange...er?" 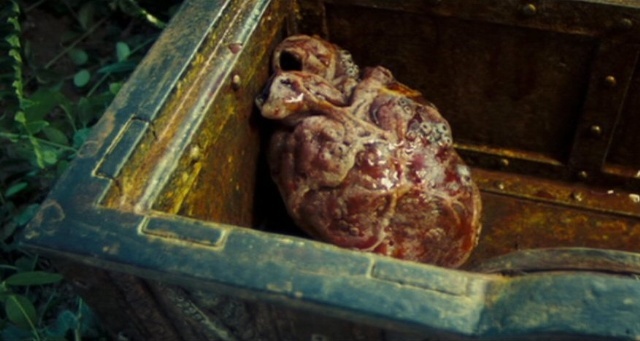 Through out the Pirates of the Caribbean there have been lot's of creepy people/things. In this post I'm gonna list out the top 5 of them that I think are the creepiest. I'm guessing you're all experts on this mythilogical creature thanks to my previous posts, but now I'm going to talk about it again and emphasize it's grossness and creepiness. The kraken is actually quite frightening because it does as Davy Jones commands no matter what. And of course Jones doesn't exactly order it to get him some tea and crumpets. It eventually washed up on an island dead. That's when Pintel and Ragetti make planes on selling chunks of to people as souvonirs. Mean while Jack and Barbossa have an intense conversation right in front of the beasties eyeball. This one probably is a surprise to you but, quite frankly, this guy really creeps me out. I mean I love British people and this guy is British but that face is just hideous. And then you have to put a huge fluffy wig on it. Of course that's not enough to be creepier then the Kraken is it? 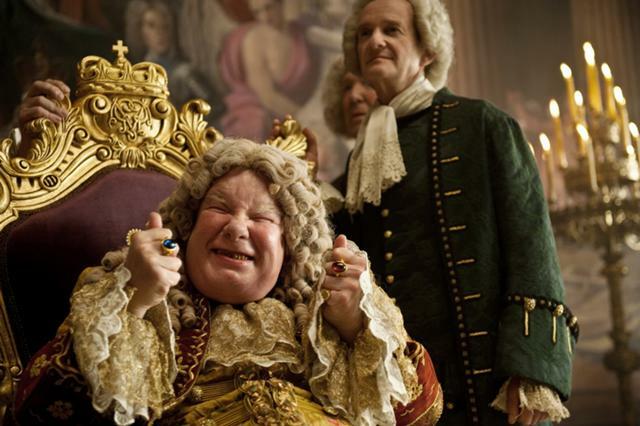 It is because he also makes Barbossa's hideous face have a wig on it as well. I still have nightmares. Okay you know I had put this on my list. I mean It's a heart. And not just any ones heart, but the a squid faced maniac's heart. This bloody organ goes through a lot. It's cut out placed in chest for a few years, picked up again and put in a jar of dirt. But then James Norrington decides to stuff it in a sack and bring it to Port Royal where it is then taken aboard the Flying Dutchman. There it surrounded by people pointing guns at it until finally Jack Sparrow comes in helps Will stab it, which by the way made goo squeeze out of it. But really tells me the heart is creepy is that Ragetti of people wonders if it's really true. Yes, she is one of my favorite characters but you gotta admit that she can be very creepy. She randomly gives people the weirdest facest, like when Will pays her a visit for the first time. Also she got horible gramar. And when she turns into Calypso again she yelled very loudly then burst into a bunch of crabs. Who does that??? But at least she ended up helping the Brethren Court. Wow this one is a whole lot of weird. If you've seen many of my posts you'll know I have a very nice collection of ugly Elizabeth picture. I also enjoy making fun of her. She get's really hyped up sometimes. Very judgemental. She hated pirates all her life then ends up being King of them. Gotta say that was not one Jack's better moves. She also kissed about every boy in the films. Don't get me started on the fact that she KILLED CAPTAIN JACK SPARROW. "She hated pirates all her life then ends up being King of them." 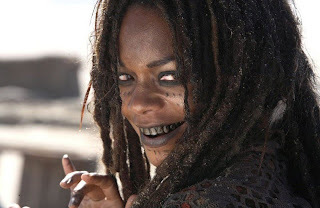 If you watch Curse of the Black Pearl from the beginning to the moment she started meeting pirates (Captains Jack and Barbossa, etc), you'd know that she did have interest in a pirates. Note young Elizabeth's line: "Actually, I find it all fascinating." What was the it? The subject Governor Swann, her own father who definitely hated pirates, said that would concern him: Pirates. And though this was from a deleted scene...Elizabeth said this to Jack on that desert island: "Just a song I learned as a child when I actually thought it'd be exciting to meet a pirate." So that's enough proof that she had an interest in pirates for quite a while. However, I can't deny that she had second thoughts on liking pirates once she started seeing all the bad stuff that happened to her later. Remember, after Captain Jack saved Elizabeth and faced Norrington's men, Elizabeth said the following two lines: "Commodore, do you really intend to kill my rescuer?" 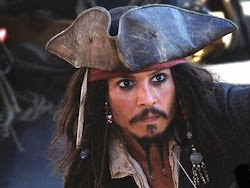 and "Pirate or not, this man saved my life." Tell me, did she have thoughts of hating pirates? Apparently not. Did she have those thoughts after being held hostage by Captain Jack; quite possible...though I can say that thought probably strengthened once she was being kidnapped and forced into a journey of certain death. However, consider the fact that she was with Jack's crew; if she truly hated pirates, she would've just tried and get off that ship as fast as she could. And all that is just from the first movie! The way Elizabeth feels in the second or third movie is anyone's guess as they were a little messy...considering how many complained over it. Now, again, I'm not trying to stick up for Will or Elizabeth. To be honest, I'm actually glad they're not in the films anymore - rooting for the chance that they're NOT IN 5! But I disgress. I'm only stating facts that are shown in the movie. Just thought I'd set the record straight. Thank you for your time and opinion! We always appreciate feed back on our website. You bring up many valid points. However, I still find it rather ironic that throughout the movies she's always screaming "bloody pirates!" and then she finds herself king of the "bloody pirates". You should check out more of our posts on Elizabeth! Haha, I laughed so hard when I saw Elizabeth listed as #1. Awesome blog! Hey check out The Lone Ranger Trailer 2. The Pirates logo flashed but it was different than all of the previous skull/crossbones designs. Perhaps POTC 5 is on the way?